Edward Swinfen Harris was a distinguished architect with a national reputation. 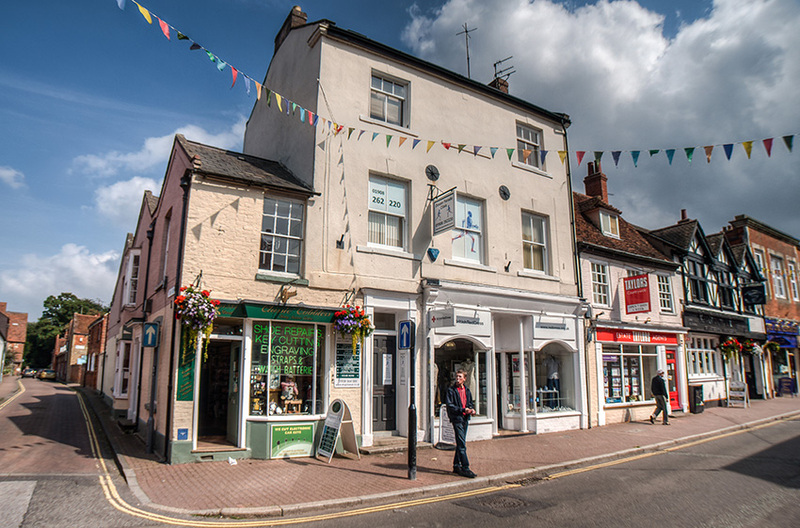 Nicholas Pevsner described him as “the only outstanding local architect working in the north of the county.” He worked in London as well as Stony Stratford and although his legacy is predominantly local there are surviving buildings in London, Dorset and Northamptonshire. In the course of his career he designed many fine houses in North Bucks which are still standing today. He was born on July 30th 1841 at 36, High Street, Stony Stratford. His father was the clerk to the town bench of magistrates, the Board of Guardians and other bodies and Edward was the eldest son. The family later moved to Back Lane. He began his formal education when he was 11 at the Belvedere Academy at Old Stratford. 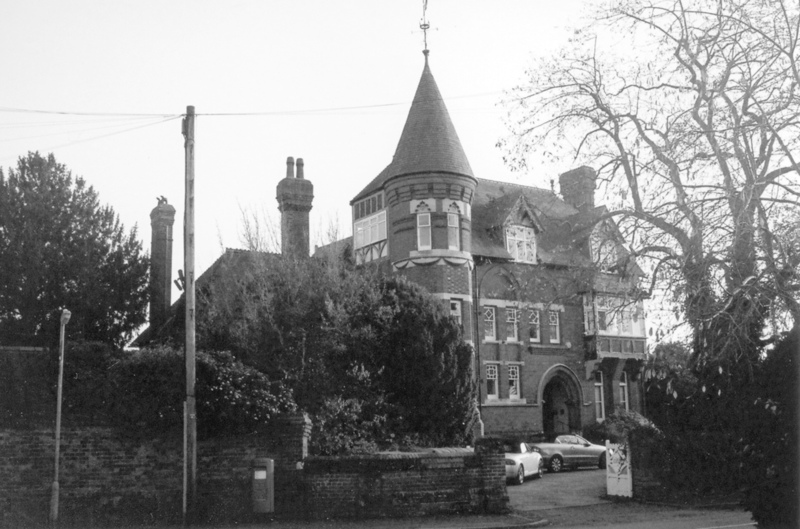 He was then sent to Ullathorpe House School in Leicestershire, where he boarded. Around 1858 he was apprenticed to the book trade. He didn’t stay long and rather like his contemporary, Thomas Hardy, the poet and novelist, became articled to an architect in London. On completion of his apprenticeship he then shared an office in London with two friends but in 1868 he returned to Stony Stratford to make additions to the vicarage of Wolverton St. Mary and also to Calverton Limes. Calverton Limes, much modified, was one of the first homes that Swinfen Harris worked on. In the following years he was greatly involved in ecclesiastical architecture, restoring many churches. The vestry added to St Giles is his design and there is this fragment of a church in London which is also his. Emmanuel Church, Upper Holloway, London, built 1883Most of the church was rebuilt to a modern design in 1988. He became a Fellow of the Royal Institute of British Architects and travelled extensively in Europe to study architecture. 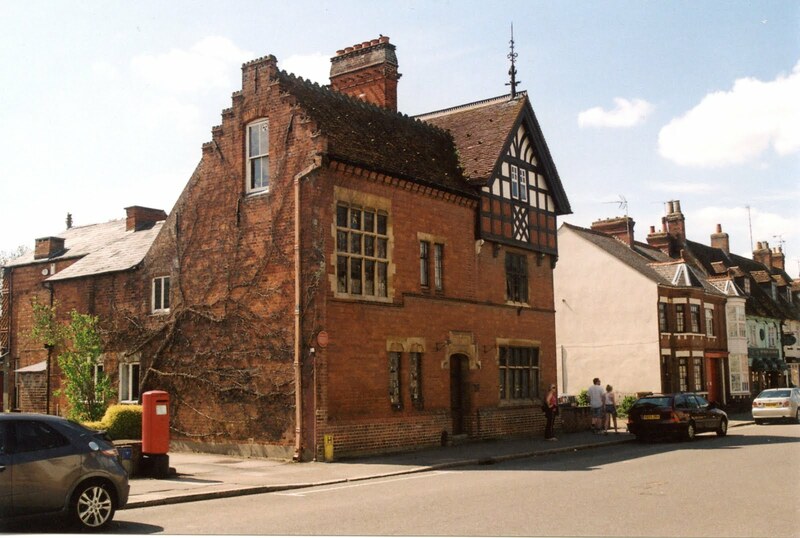 After marriage in 1870 he settled in Stony Stratford at a new house at 15 Wolverton Road. In this period he designed the house at 19 Wolverton Road for Dr McGuire. The large house at 19 Wolverton Road, now divided into separate dwellings. In his professional life he was the county surveyor of North Bucks and after the passing of the Education Act built a number of local schools, including that of St. Mary’s in the town. 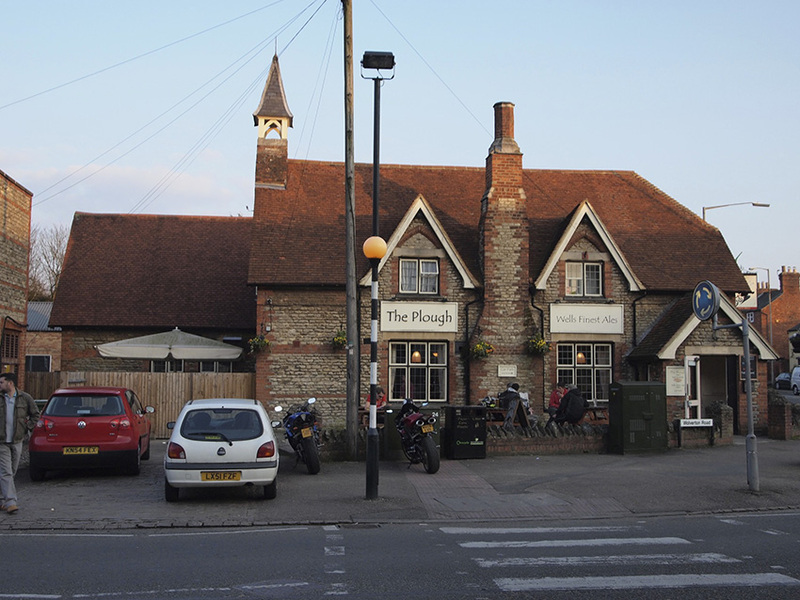 The Plough was originally built as a school and had been a public house for 70 years. The Plough is one of the most visible of Swinfen Harris’s design. 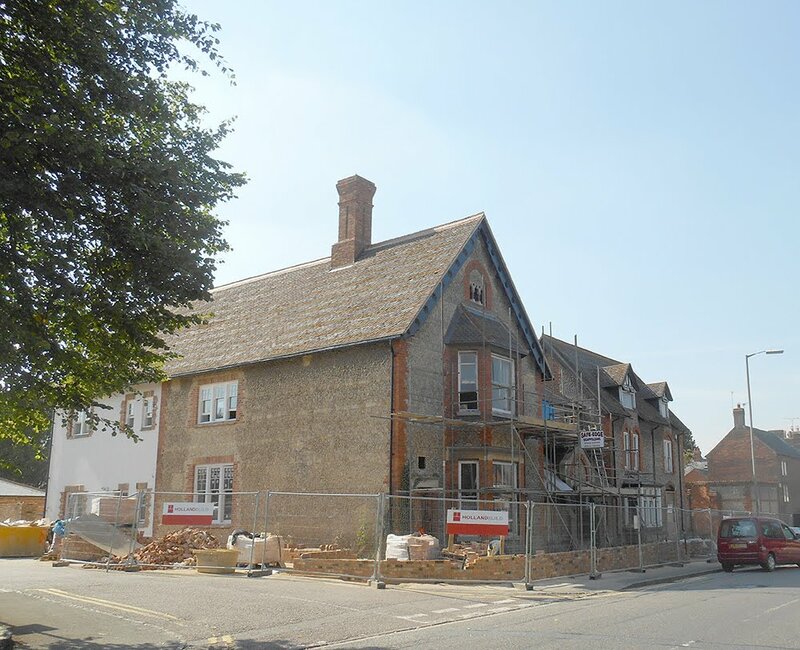 Lovat Bank in Newport Pagnell was designed for F J Taylor, of Taylor’s Prepared Mustard fame, and built in 1877. In 1883 he designed the stables at Bletchley Park.and later built the house at107 High Street for himself and his family. 107 High Street, built after 1887 for his own family.